What does guanabana taste like? What is guanabana good for? What is guanabana in English? Soursop. That doesn’t sound too appetizing, does it? Well it’s actually delicious. Whether you say the Spanish name, the Brazilian Portuguese (graviola), or the English translation… they’re all referencing the exact same fruit. Chances are though if you live in the United States, you haven’t heard any of those names before. Don’t expect to find it for sale at Walmart. Not even grocers with an organic emphasis like Whole Foods sell it. Where you can buy soursop in the US is often limited to Asian and Latin grocers in major cities like Los Angeles, Miami, and Houston. Those aside, you probably have never seen it for sale in the US. But in Central and South America, it’s a popular fruit. Likewise for some African countries like Nigeria and a number of Southeast Asian countries. In the Philippines they call it yet another name; guyabano. 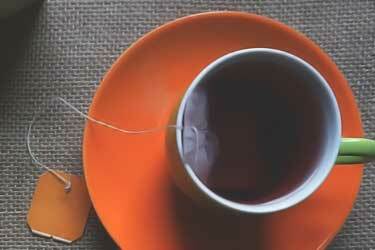 In addition to using the raw pulp in recipes, making herbal tea with the leaves is a popular beverage. You can eat the fresh white pulp inside, or the nectar can be turned into juice, punch, and desserts like ice cream. There are many culinary uses. Whatever form you fancy, what are the health benefits of guanabana? We will go over all of them but first let’s address the elephant in the room. Lately, there’s been a lot of controversy about it allegedly being good for cancer. One major nutritional website claims it’s what big pharma “doesn’t want you to know about” and a herbal remedy website implies there is “strong evidence” it may be an alternative treatment. Some of these natural news bloggers cite purported cancer cure testimonials as part of their pitch. Similar to reishi mushrooms and cancer, a lot of people out there are taking very preliminary research, then extrapolating (and exaggerating) it to mean something it doesn’t. We will review the guanabana cancer research below, but first we think it’s important to be crystal clear and nip in the bud the wild (and dangerous) exaggerations which some alternative medicine folks are perpetrating about this fruit. The trial was completed in October 2014. 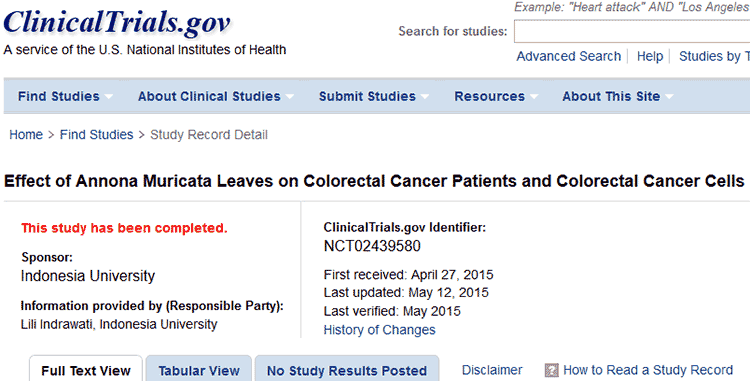 Two years later and still no results have yet been posted on ClinicalTrials.gov for it (1). Before you shout conspiracy, it’s actually not that unusual for a lot of time to pass between finishing a trial and posting results. Especially if things didn’t go as planned or the results were disappointing. Actually when pharma is developing a drug, if it does poorly in a clinical trial and they can see it’s a flop, sometimes they will never publish the results in hopes of sweeping it under the rug, rather than being forced to call it for what it is… a failure. 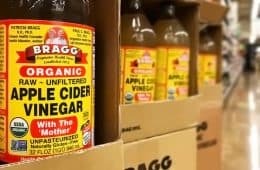 Trust us, if guanabana juice or leaf extract can cure cancer or even can mildly improve it, the pharmaceutical industry is incentivized to commercialize it and make money selling drugs made out of whatever the active compounds are, if they exist and work in the human body (working in a Petri dish is not the same thing). No one – not even big pharma – is helped by hiding cancer treatments. The alternative medicine bloggers alleging there’s some kind of cover-up conspiracy going on are flat out wrong. And by the way, it’s unlikely there ever will be “a” cure for cancer, given that there are hundreds of different ways it can manifest itself. If we are ever able to cure the disease, it will likely require a plethora of different cures. Different ones for different types. To understand why, watch the Ken Burns documentary, Cancer: The Emperor of All Maladies, which is based on the Pulitzer Prize-winning book of the same name. We will come back to the cancer killing controversy below. First, let’s go over the soursop benefits which are non-controversial. You don’t eat the green skin, nor the black seeds inside. Only the white flesh. Don’t be misled by its English name, soursop. Does it taste sour? Yes, but it’s balanced with plenty of sweetness. The flavor has been compared to a combination of tropical fruits. Some liken its musky taste to that of a pineapple and banana combined. Others say the soursop flavor is closer to pineapple plus strawberry. What you never hear is it being described as sour in the same way as a lemon, lime or grapefruit. Its texture reminds people of a banana or coconut creaminess. That’s why guanabana nectar is often used for dessert recipes including ice cream, sorbet, and smoothies. 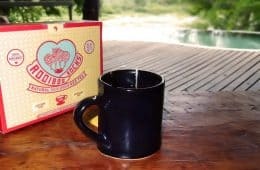 What does soursop tea taste like? Like many teas, the flavor by itself is not very appealing. But if you add some lime juice and a sweetener such as honey or natural stevia, it won’t taste bad. Many actually enjoy it. In short, most people say the fresh fruit and juice both taste good. How big is the soursop fruit? That too is not easy to describe. Unlike many fruits which have regular or consistent dimensions, the size of a fruit can range in measurement from a few inches to as long as a foot (2). That’s for its longest dimension, since it’s an oval shape, the width will be around half that. As you see, the biggest health advantage is its vitamin C content. 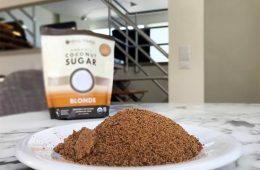 The 30 grams of sugar is somewhat high, but the fiber content should help offset some of the glycemic side effect, by slowing down the rate at which the sugar is absorbed. Regardless, it may be a bad choice for you if you have diabetes. You have a lot of natural remedy folks embellishing this advantage. There are so-called health websites right now claiming guanabanas are “extremely rich in antioxidants” but offer no quantitative data to substantiate that claim. How do they even decide if a fruit is “rich” or not? They don’t. Instead they just spout nonsense to fill up a page. Let’s actually look at the numbers which measure exactly how much antioxidant activity soursop has and then compare. Based on the most accurate way to measure this – ORAC values – here’s how this fruit compares to a random sampling of 10 things, ranging from low to high. All readings were calculated using a 100 gram samples of each item. Those are just a few examples from our ORAC values database of nearly 500 different entries. 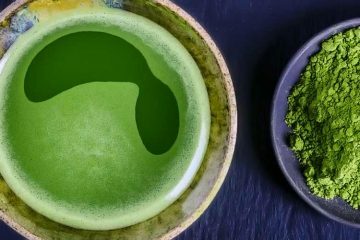 We haven’t found an ORAC measurement for graviola tea, which is made with leaves. Upon looking at the ORAC for the raw fruit, do you think it’s a fair assessment to say that guanabana is “extremely rich” in antioxidants? Or do you think because of its antioxidant content, it’s good for cancer treatment? Both of those purported benefits which others are claiming fall flat on their face. 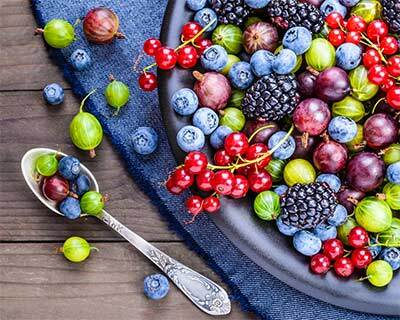 Antioxidants – no matter how little or “rich” they are – will have absolutely zero effect on cancer cells. The reason antioxidants are believed to be healthy is because of the hypothesis that they might help reduce DNA damage which it is caused by oxidative stress in the body. While totally unproven, in theory antioxidants might help prevent some instances of cancers when they are caused by a cell mutation that resulted from oxidative stress. But again, that’s hypothetical and unproven. Either way, after a cell mutation happens, antioxidants have zero effect on it. That means that after a tumor forms, it’s impossible for antioxidants to help it. People who claim this (or any other fruit) helps fight cancer with antioxidants are 100% wrong. Despite the bucket of cold water we just poured on this topic, antioxidants are still a nutritional benefit of soursop. Is it an impressive amount? By no means. Tropical fruits tend to contain very little antioxidants relative to their neighbors grown in colder climates. However relative to a number of other tropical fruits including pineapple, papaya, dragon fruit/pitaya, and mangoes, yes you can accurately claim that soursop is a “rich” source (just look at its vitamin C). But that’s about as far as you can stretch that claimed advantage. Graviola, which is the Brazilian Portuguese name for the fruit, seems to be the word of choice when discussing it as a “cure” or treatment. But graviola is used in the culinary sense, too. This is why the only way to cover all the research is to search for the scientific name; Annona muricata. The National Institutes of Health (NIH) runs PubMed, which compiles medical literature citations – over 27 million entries are listed for anyone to review. If it is legit research, you will almost certainly find it in this database. There are a total of 35 entries dating back as early as 1996. Acetogenins are a class of compounds onliy found in the Annonaceae plant family (which includes graviola). HT-29 is a line of colon cancer cells used for research since 1964. It came from a 44 year old woman (3) (4). Adriamycin or Rubex are brand names (among others) for the compound doxorubicin, which is a chemotherapy medicine first approved by the FDA over 40 years ago (1974). While it is an old drug, many variations of it have been developed over the years and it remains one of the most important cancer medications in use today. 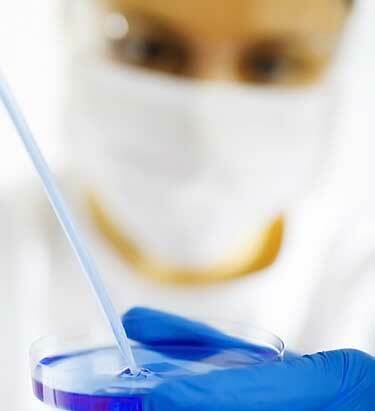 (1) These were laboratory experiments using cultured human cells. Think Petri dishes and test tubes. This was not a test involving humans. (2) “10,000 times the potency” does NOT mean 10,000 more effective. 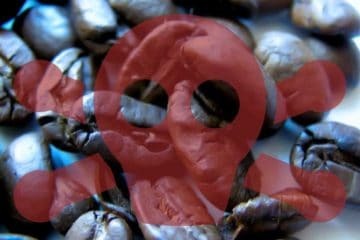 The only thing it means is that in that particular laboratory experiment, the cytotoxicity (destruction of cancer cells) was the same with graviola but at a concentration which was 10,000 times lower than Adriamycin. What happens in a Petri dish is not always what happens in the human body. Are avocados good for you if they cause DNA mutations in a Petri dish, as seen above? 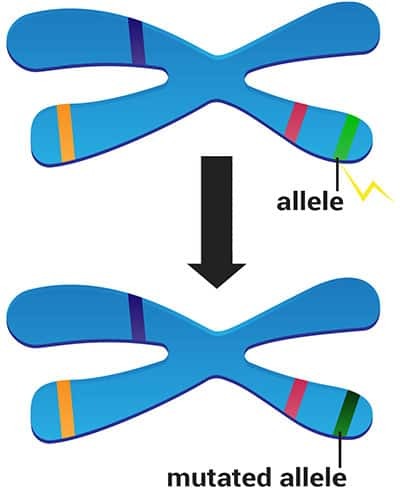 Remember, cancer is caused by a cell mutation gone wild. However, just because something is seen in a Petri dish, it doesn’t mean it works the same way after digestion or injection of the food. Think about it… you could put cancer cells in a Petri dish and dump a chemical like bleach on them and guess what? The bleach would probably kill them. But obviously, that does not mean bleach would be effective or useful in the human body as a cancer treatment! Plus, no one knows if guanabana leaf or fruit extract would even be safe as a treatment, if it was found to work and be effective. Whether it would be safe during pregnancy is yet another unknown. 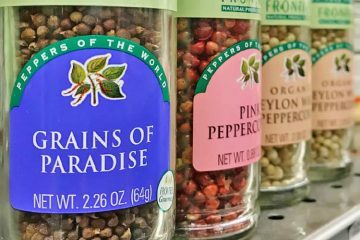 There are two studies totally unrelated to this disease – from 2002 and 2007 – which had suggested high consumption of the fruit “induced neurodegeneration of basal ganglia” in the brains of rats. 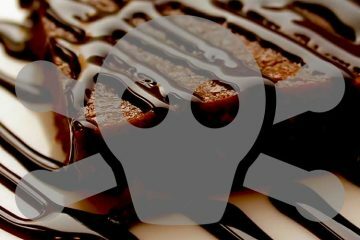 So it might actually have neurotoxic properties if consumed in excess (5) (6). That first study comparing graviola and Adriamycin was from over 20 years ago. Here’s a look at all of the cancer research which has been published since then on PubMed. Two compounds isolated from graviola leaves were said to be toxic to 6 human cancerous cell lines in laboratory experiments. Among them were prostate and pancreatic cancer cells. The compounds were muricoreacin and murihexocin C. (different ones from the ’96 study) (7). 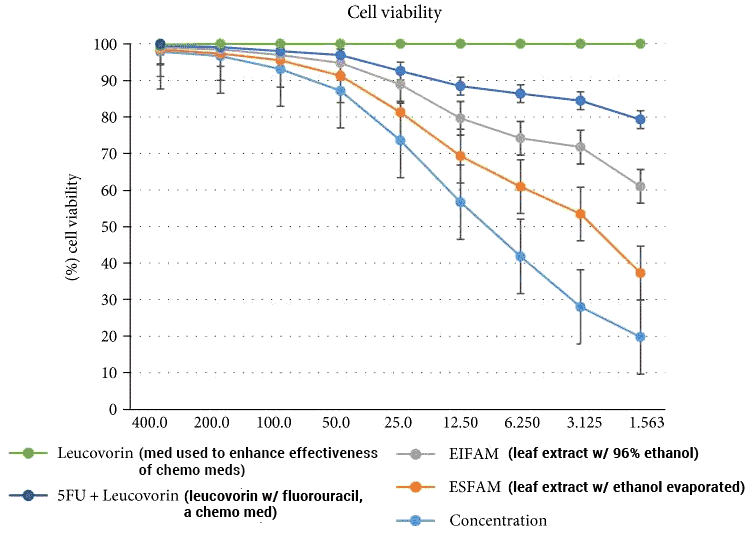 Conducted at a university in Taiwan, 7 new compounds (muricins A-G) and five previously known were used to demonstrate toxicity in lab experiments against human hepatoma (liver cancer) cell lines Hep G(2) and 2,2,15. The compounds were isolated from guanabana seeds (8). These two studies addressed additional compounds isolated from the seeds, which were said to show similar toxicity towards liver cancer cells (9) (10). Yes, it took 7 years until another relevant paper was published. This was not specific to graviola, but rather it looked at 14 species of plants (11). As you can see from the title, cancer (antiproliferative activity) was only 1 of 3 different things they were evaluating in their lab experiments. At the end of the experiment, the percentage of living diseased cells in the graviola extract was lower than the other plants tested, but as you see below it was almost the same performance as Lantana camara, which is a flowering plant known as big sage, wild-sage, or tickberry depending on the part of the world you live. The theory of using guanabana for cancer looks less special when you compare it to Lantana camara, which has about the same kill rates in vitro. 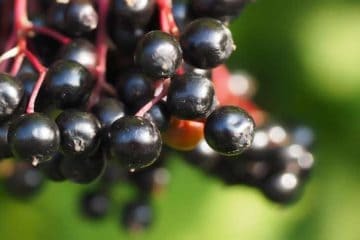 The fungus periconia, which was found growing on the plant, and two natural compounds isolated from it were tested against 6 human tumor cell lines. It was said they “showed low cytotoxic activities” against the tumor cells. In other words, they did not seem to work well (12). 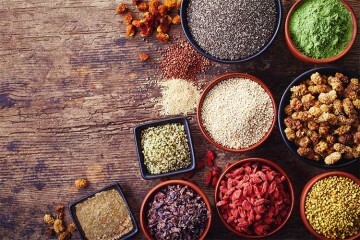 Published by a researcher at Ahmadu Bello University in Nigeria, this paper was simply a laundry list of different foods – ranging from chili pepper to tomatoes – which might reduce prostate cancer among African males. It was an opinion piece, not an experiment (13). 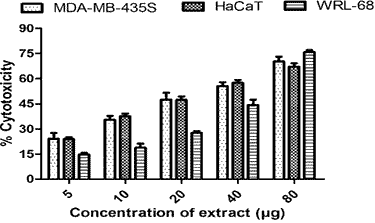 Measured toxicity of the leaf extract in different concentrations. WRL-68 = normal liver cells, HaCaT = normal skin cells, MDA-MB-435S = breast cancer cells. Conducted at a school in India, the leaf extract of soursop was tested against normal liver cells, normal skin cells (human immortalized keratinocyte cells) and cancerous breast cells (14). They said “most of the observed chemo-preventive potential invariably correlated with the amount of total phenolics present in the extract” but do keep in mind correlation does not mean causation. As far as how the graviola safety measured up in the experiments, this chart shows how while it showed toxicity against the carcinoma cells, look at the similar effects it had on healthy liver and skin cells. So it was still “moderately toxic” even to the tested healthy cells. Up until this point, all tests were experiments involving cell cultures. This appears to be the first involving animals; mice (15). Done at the University of Nebraska, this is another laboratory study which sought to understand the mechanisms which might be responsible for graviola inhibiting pancreatic cancerous cell growth (16). Researchers at a university in India further studied the acetogenins found in the plant. These are the compounds which are believed to be “potent inhibitors of NADH oxidase of the plasma membranes of cancer cells.” This only involved lab experiments, no animals were used (17). Researchers at Wayne State University in Michigan studied the effects against PC-3 prostate cell lines in lab experiments (18). Experiments against A549 lung carinoma, done at a university in Malaysia (19). You’re not expected to understand that, but there’s not really a plain English way to describe it. But after saying that, they emphasized it should not be considered a natural cure by saying “further in vivo studies [meaning inside a body] are still required” before it could be contemplated as a possible treatment for cancer. Conducted in the West Africa country of Cameroon, this was testing with HL-60 (Human promyelocytic leukemia cells). Different parts of the plant were tested against them. All plant parts were said to show “strong antiproliferation potential” of varying degrees (21). 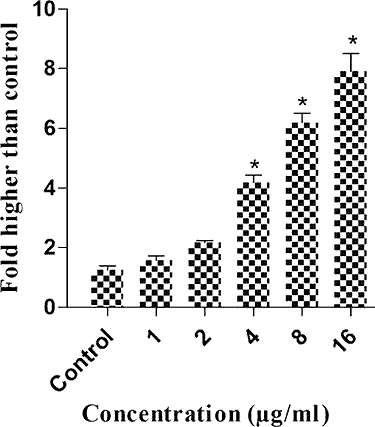 Effects of the compound annomuricin E at different concentration on LDH leakage formation in HT-29 colon cancer cells. Conducted at the same Malaysian university as the earlier studies, this appeared to be the most extensive relative to all which came before it – not just from this university, but among all the studies which had been published up to this point (22). The paper was well-written and included a number of graphs, charts, and photos of the tumors before and after. They zeroed in on the compound annomuricin E as possibly being responsible for the purported anti-cancer benefit of guanabana leaves. Again, how it works is not easy to dumb down. Research by the University of Ghana looked at the antiproliferative effects of the leaf extract on human BPH-1 cell cultures (23). Additionally, 30 male rats were fed the extract for 60 days and then killed to be examined. There were 10 control rats who were on a normal diet for comparison. 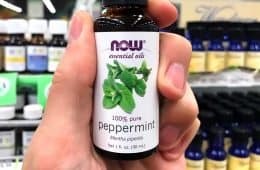 Researchers from several universities took part in this study, which evaluated not just the purported anti-cancer compounds in graviola leaf extract, but also compared them to the flavonoid compounds (phenolic substances) and whether there may be a synergistic effect of both working together (24). Human prostate tumor grafts were implanted into mice and then studied. Is guanabana safe to eat as a food in moderate/normal serving sizes? Yes. However this study suggests that even if it might help cancer, there appears to be a toxic side effect of some compounds in the fruit, the same ones which are believed to possibly be beneficial for the disease. This study just goes to reiterate why it is dangerous for people to use this as a treatment. Aside from not knowing if it works and not being studied in humans, we don’t even know if high dosages of those compounds are safe. Indian researchers did lab experiments to measure extracts of graviola leaves against SCC-25 squamous cell carcinoma cultures (a type of the skin). The extract was said to show “significant cytotoxic activity” at the G2M phase cell cycle (25). In Petri dish experiments done at an Indian university, the MCF-7 breast cancer cell line was said to be inhibited by 98% from the leaf extract. The key molecules believed to be the cause were coronin and annonaine (26). MCF-7, MDA-MB-231, and 4 T1 cell lines were tested using the extract of graviola leaf which came from different locations. Presumably all from Malaysia, as this study was done at a university there (28). Researchers at Wayne State University identified 3 more novel compounds from graviola fruit which they claim demonstrated anti-proliferative activity against PC-3 prostate carcinoma cells. If you’re curious, the compounds identified were C-35 annonaceous acetogenins (muricins M and N) and C-37 annonaceous acetogenins (muricenin) (29). 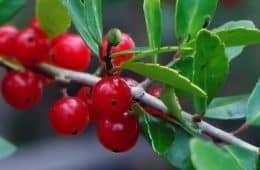 Researchers from German and Camaroonian universities tested extracts from 11 different “medicinal plants” against leukemia cells (30). These were lab tests checking the plants antibacterial effects against oral pathogens like Streptococcus mutans, Porphyromonas gingivalis, and others. It was unrelated to cancer but shows up in the results since they mention what it’s most known for. (32). Also out of Indonesia, this study shared two of the scientists from the Caspase-3 research that was just discussed. From University of the West Indies, this is similar to their survey from 2016. 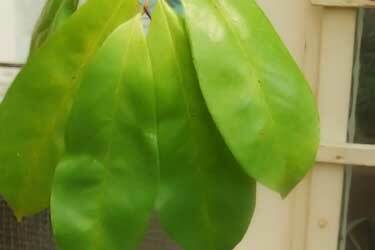 Malaysian scientists made leaf extracts using different solutions (these are called fractions). Next, they tested them on the skin tumors of mice. In lung and prostate cancer patients, an absence or under-regulation of the dice-1 gene has been observed. Using a related model of mutant nematodes/roundworms (C. elegans), these Columbian researchers wanted to see what happened when they were exposed to ethanol extract of the leaf. That is a review of all 35 studies/papers listed in PubMed. As you see, it’s almost entirely test tube-like experimentation. There have only been a couple animal studies done using rodents and only one study on humans published. That human study didn’t even evaluate the effect in their bodies. They took blood samples after the patients had used the leaf. Those samples were tested in the lab using cultured cells. So really, it was something between a human and lab study. They were NOT monitoring whether it helped the humans or not. 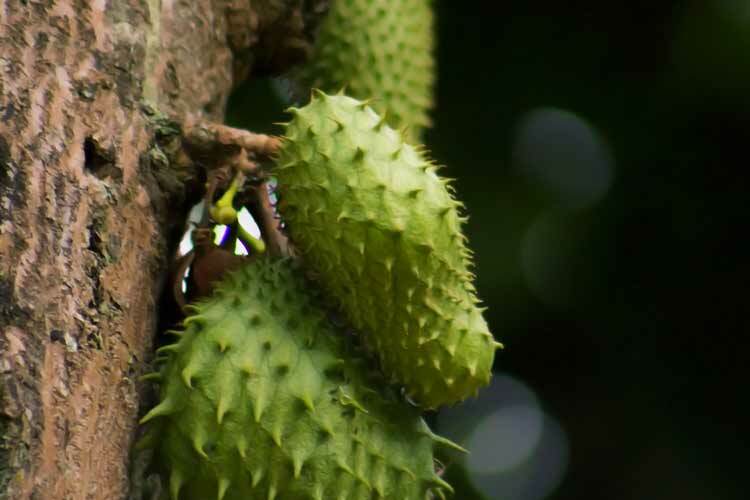 To call soursop fruit the cancer killer, as some are saying, is not only misleading, but you could even call it a hoax because that’s beyond an exaggeration. Yes, there is exciting research being conducted, but as we pointed out at the start, often times what works in a Petri dish is not the same as the biological activity which occurs in a living, breathing human being. No, guanabana does not cure cancer. There is nowhere near sufficient evidence to justify such a claim. 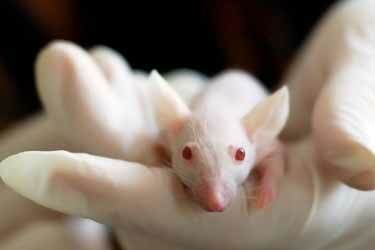 There are no human clinical trials published and even the number of rodent studies is quite disappointing to date. Sure, research will continue and perhaps someday, the answer may be different. 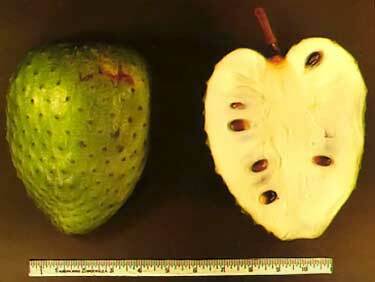 But as of now, there is not proof that soursop works for cancer. Anyone claiming otherwise is exaggerating or outright lying. That’s dangerous, as when you have this terrible disease, it’s no time to fool around. You need real proven medical treatments. You can enjoy using organic soursop as a food or drink because it is a delicious and exotic ingredient. It should NOT be used for any disease. The creamy pulp of the fruit is packed with vitamin C and fiber, making it a much healthier treat versus a processed dessert. Canned guanabana juice will have limited health benefits. Being liquefied, the sugar will hit your bloodstream faster, which is not good for diabetics (or anyone, frankly). Since the nectar is pasteurized, the naturally occurring vitamin C content will have been largely – if not entirely – destroyed. What effect pasteurization has on the fruit’s phytonutrients is unknown. Given the somewhat high sugar content of the pulp, eating it daily may not be good for you. Perhaps the best use of the plant – at least for regular consumption – is using the leaves for making a herbal tea. With sweetener and lemon or lime juice, it tastes good. Like the fruit, the leaves contain a fair amount of antioxidant content. Although it’s practically unheard of in the US, guyabano leaf tea (the Filipino word for the fruit) is quite popular in that part of the world. 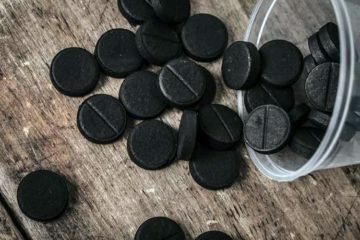 Activated Charcoal Uses May Be Harmful, Possibly Cancerous? On the matter of reasoning that, if a botanical is truly effective in combating cancer, big pharma would “commercialize it”, allow me to correct you. The truth is, big pharma “might try” to commercialize it. Just because a botanical can be clinically proven to heal cancer when used in its whole, “natural” form, DOES NOT mean that an “ISOLATE of the constituent that is responsible for the curative effect” will fare equally well. 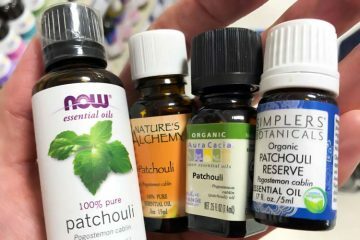 The lapacho tree, known for its “Pau D’ Arco” inner bark, has been used for centuries to treat cancer and other serious ailments, was analyzed, and its so-called “active ingredient” had been isolated by a pharma company. But, the resulting drug, “Lapachol”, was a “complete failure”, such as I believe would be the case in the vast majority of isolation attempts. You cannot go messing with Almighty God’s “nature”, and not expect to end up compromising in one way or another. There is a company called Neolife of America (founded in 1958), who’s scientific advisory board has, over the years, had some of the most respected scientists in the world (invited to the top conferences where they speak on scientific research). These scientists are philosophically against “isolating” individual constituents, and are instead for keeping “families” of related nutrients together, because isolation rarely has the same efficacy. Your probably one whose been told to write that Guanabana doesn’t cure cancer because you work for the western medicine company. We are born in this planet with nature and there is always a way to cure anything but because of business, Monsanto start to ban all the fruit or plant that can cure the disease. Now everyone’s been brainwashed to take medicine from the doctor or take an x-ray which has no effect and will only make it worse. There is a problem in this world which there are the organisation who are controlling our future of humans. This is an actual breast cancer patient who took graviola leaves and benefited greatly from it. Nothing “deliberately left out” as we stated at the start, everything qualifying for PubMed was reviewed. Of course you can find literature and opinion papers elsewhere, though they have not passed the requirements for PubMed inclusion. With this one you mention in particular, the reason appears to be that it’s non-peer reviewed, though we could be wrong on that. Whatever the reason, it doesn’t pass for PubMed. Your second comment, repeating the same as above but with added slanderous attacks against us, will not be published. There’s no conspiracy here at Superfoodly. You’re welcome to share opinions about the topic, but not to make false attacks and say we are “someone paid to suppress” and other vicious lies about us. Furthermore, that just weakens any point you’re trying to make. If you say that it’s a “fact” we are paid to suppress (and that’s false) then what are we to believe about any scientific “facts” you also claim? To us, it sounds like your fluid definition of a “fact” is comparable to Trump’s, which unfortunately, just waters down the weight of anything else you say, even if/when it’s legit. yet the anecdotal data is astounding (easily found on product reviews)! clinical trials and lack of human studies wouldn’t stop me from trying this out. And yet his point that Big Pharma would try to commercialize any effective natural remedy is still valid. Trying and failing is not the same as never succeeding. I agree that the benefits we see from good, whole foods will not be replaced by a pill filled with the “active ingredients” of said foods. But that doesn’t mean a company won’t try. And in the trying, they will offer a great demonstration, whether positive or negative. Anecdotal evidence is not something on which to base a life-threatening decision. We can practice good, sound medicine. Or we can rely on anecdotal evidence. The most anecdotal evidence can do is indicate a need for sound research. sure, but if you don’t have the time to wait for sound research, your best bet on that possible solution/assistance would be to act on the lead and find out for yourself, right? it’s not like the herb/food in question is gonna kill you… well.. the cancer will if you don’t try non lethal leads. First and foremost I’ve been a sceptic of BIG PHARMA’s hidden objectives. With that said, I’ve been consuming a daily dose of Imatinib, at a cost of ~$35k a year. As we all with cancer (GIST to be exact) are always looking into a natural supplement that can potentially be a life saver without breaking one’s retirement fund, thus gave Graviola an attempt to fill this void. I had been taking Graviola for the past 4 months, and appeared to be feeling great. This past week I received the dire news that my stable tumors have come back to life, and have increased in size by 15%. Of course BIG PHARMA’s next step of defense is to double my dosage (or contribute $75k a year). This led me to do a little research and to find the relationship this supplement has to a grapefruit. Many pharmaceuticals do not mix with grapefruit as they neutralize/counteract the efforts of the drug. Though this may be pure coincidental but so happens two years of stability and 15% growth coincides with the 4 months of taking 1300mg. Now the good news, so happens I have suspended daily consumption of graviola, and will have a follow up with my physician in two months. 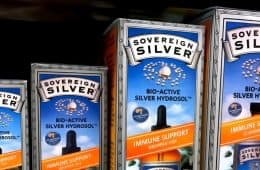 My condition isn’t life threatening (yet), but wanted to share my story some others can be aware that this supplement can be counterproductive in its fight against C.
i could not read this article entirely, however my sister had cancer and we did do treatment but using or Guanabana ( soursop ) was a major impact to her recovery. As a nurse, I’m all for trying natural and holistic therapies. I thought the article was well written and explained what these sensationalist ads on the internet won’t. I also don’t believe this article was written for the purpose of preventing people from trying this fruit to help combat cancer, but to caution folks to perhaps not put all their eggs in one basket, so to speak, until more is known (but I’d say that about anything, even pharm). AND broad claims about it “curing cancer” should be met with skepticism because all cancers are different as are all peoples genetic makeup.. what works for some won’t work for others. Best of luck to those who try this treatment! May it help in your fight!! I read almost the whole article and the answers but what caught my eye was the one referring to the patient taking Xeloda and guanabana (original Peruvian name). 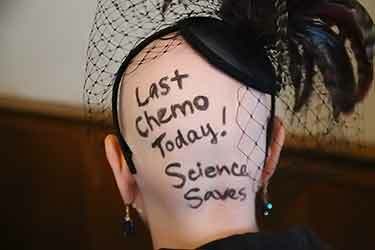 I have done chemo and radiation after being diagnosed stage 4 breast cancer w/leptomeningeal disease on April 2015. Only 4 months of life expectancy. Today (11/12/17) my xeloda treatment includes a daily cup of cold guanabana tea, three times a day. Believe what you want but I’m here and plan to be around for a lot more. Warrior ~ where do you get your leaves? What product brand do you suggest? Amy Dee, I have friends and family bringing them from Peru. They sell them in any supermarket any brand. I also know that you can find them in California. Dry leaves to make tea. Sorry, I don’t have any more information. Well maybe i should get ready to die because for the first 22 years of my life i ate guanababa very often, sometimes twice a week, i really liked it and in colombia that fruit is as popular as bananas a re here. I see big pharma here trying not to lose any chemmotherapy customers, poor doctors they might not get to see those millions. Sorry, forgot to say i am 79 and i am still breathing. I live in Honduras. We have easy access to Guanabana, we have several trees in our garden. My wife and I drink a large glass weekly of blended Guanabana leaves (Six in a blender with a pint of water, blend for half a minute then strain the liquid into two glasses. In Honduras this is a well known antidote for various ills including some types of cancer. Anyway, to the point. We have an average size elderly male dog of about 15 years. He started to suffer cancerous lesions on his chest and stomach. I began to add chopped up Guanabana leaves (three) to his food once a week. After three or four weeks the lesions decreased in size and after six weeks had virtually disappeared. Also the dog seemed much more energetic and active. I can only say this seemes to be some proof of the anti cancer properties of the Guanabana leaf. At least for dogs! Though elderly, my wife and I remain in fairly good health and will continue with our weekly Gaunabana leaf blended drink and will remain believers in the benefits of this fruit. With all the respect the Superfoodly people deserved for taking the time to do such extended research but I have to agree with all the comments about the “big pharma” interests being threatened with the wonders of guanabana. 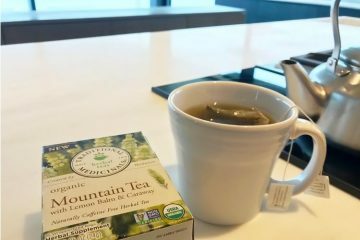 Too bad that it seems that someone’s testimony of cancer healing by the use of guanabana leaves tea has no validity compared to the tests done in corporate labs. I’m a true believer that our home earth has all we need to survive and be healed of any disease; too bad that sometimes the belief is that science in partnership with chemicals can do a better job than nature. I’m grateful to not have any disease and only the person who suffers any illnesses knows better; but I say if a person is diagnosed with cancer, advanced stage or not, and knowing that there’s no proven cure for it either chemical or natural, what that person has to lose if she/he tries out guanabana? If that would be my case I would try whatever I heard testimony of being good for the disease. I have Squamous cell carcinoma HPV 16 or tonsil cancer 2nd stage from years of tobacco use, the HPV I’m not sure how I contracted it, I’m told it’s fairly prevalent n there are over a hundred strains, this is considered a virus I could have contracted years ago and laid dormant until now BTW I was diagnosed 12-14-18, oncologist says I need 34 treatments of radiation and chemo poisoning, he says any natural or alternative treatment is out of the question n that this type of cancer can only be treated with conventional treatment, I’m going to inquire about treatment in Tijuana Mexico where they treat you with powerful Herb mixture which I’m not sure what the ingredients are as they wont say we is used, a gentleman I know had gall bladder cancer that went to Tijuana spent or day doing x-rays blood tests n walked out with his 600$ bottle of herb mixture that was a yr ago his biopsies as of late show no Trace of malignancy, I know not all cancers are the same, I can spend around 2000$ on Tijuana treatment or let my insurance policy pay for radiation poisons, I could end up with a feeding tube in my stomach and losing 50 lbs which I can’t afford to lose I’m 155 lbs now, Drs say I have about a 2 to 3 month window to me a decision on treatment, I’m just looking for the best option to treat my malady I’d rather do the diet and lifestyle change vs poisoning myself with mustard gas if you will, any feedback on Soursop (Guanabana) or B-17 treatment or any alternative treatments medical cannabis I’m 66 n too young children n grandchildren family n friends it’s not time to leave this world yet, anybody?